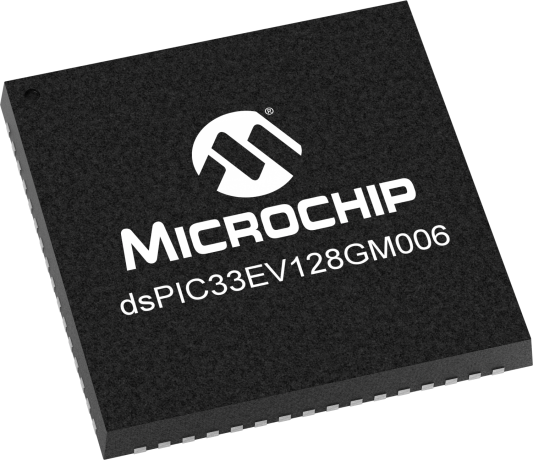 Microchip’s dsPIC33EV family of digital signal controllers (DSCs) features a 5V 70 MIPS dsPIC® DSC core with enhanced on-chip features and is ideal for operating in harsh environments such as appliances and automotive applications. The 5V dsPIC33EV family comes with rich peripheral integration which includes SENT, High-Speed PWMs, OP Amps and Error Correcting Code Flash for increased reliability and safety. The dsPIC33EV family of devices enable the design of high-performance, precision motor control systems that are more energy efficient. They can be used to control BLDC, permanent magnet synchronous, AC induction and stepper motors. These devices are ideal for automotive applications and high-performance general-purpose applications.